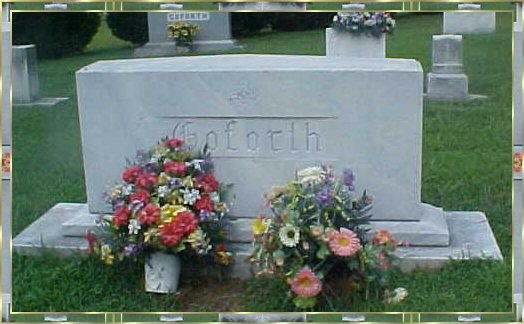 George Goforth was born in Rutherford County, North Carolina on August 12, 1918.
to avoid sniper fire which has singled him out as a valuable target. 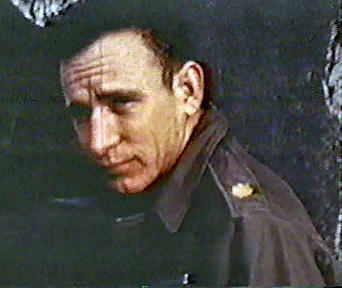 is not known but it is quite likely that upon assuming command of 1st Battalion he received that promotion. 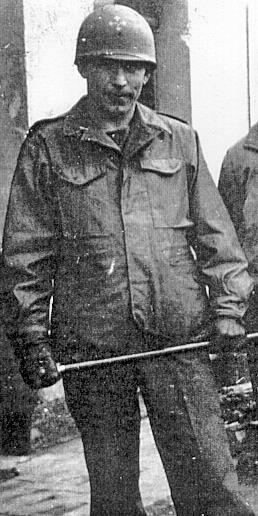 leads the Battalion in seizing the high ground outside of Neuville as part of the attack along the Carentan-Periers Road. the new Regimental Commander Colonel Lanham to press the attack toward the village of La Maugerie. is wounded and relinquishes command of 1st Battalion to his executive officer CPT Bruce Lattimer. first two days of the Hürtgen attack Lanham also orders Goforth not to get in the same foxhole with Henley. to less than that authorized for a single Company. 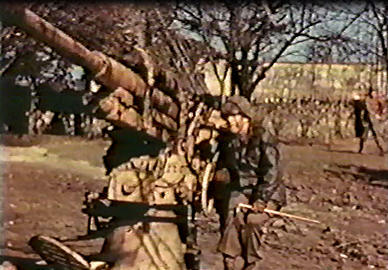 8mm film taken during the war. 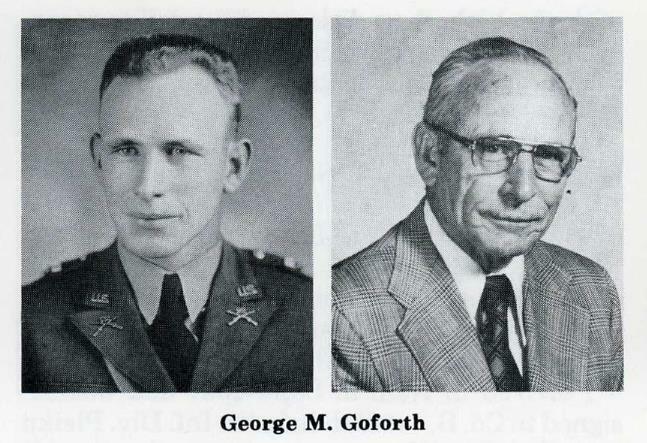 he is still in command of 1st Battalion until his discharge in late 1945.
and teaches agriculture at Blacksburg High School, where he serves as Principal until retirement in 1978.
in Cleveland County, North Carolina. 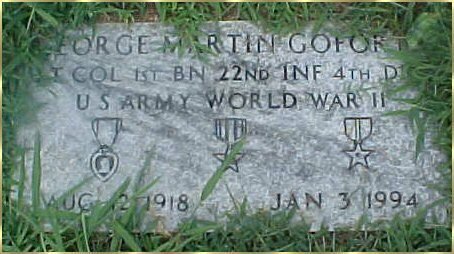 George Goforth was awarded the Silver Star Medal in 4th Division General Orders # 21 dated 21 February 1945. 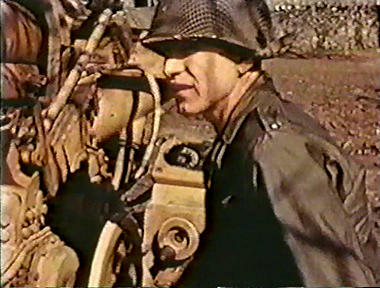 LTC George Goforth, in Europe during the war. He also was awarded the Belgian Fourragere.